An effective School Board Member acts as an advocate for public education not only at the local level but in the state and national level. Work as liaisons between the constituents and the school officials. In addition, School Board Members keep local schools on track, guides the school district by setting policies that will affect and support student learning, while working with each other to do the school district business. Being able to represent all of the stakeholders and listen to all. The number one job of an effective School Board is to hire a competent superintendent and evaluate the superintendent. Effective School Board Members have a clear vision for the district and sets the goals and vision of the school district. In addition, effective school board members adopt and oversee the annual budget, manage the collective bargaining process of employees of the district and work together for the betterment of all students. In my experience, the two times that I had to balance competing interests were during the collective bargaining process for teachers. I decided to not be one of the school board members to represent us on the negotiations due to the friendships that I have with many of the school district teachers. Though I believe it is very important for board members to be present in the collective bargaining process I thought it would not be me. The other time that I had competing interests was through the referendum dilemma. I know that the school district is in need of funds and keeping the surplus money collected from the referendum was an option, however, my concern was that when we asked our community to vote for the referendum we asked for a certain amount and we needed to honor the intent of the referendum. So how did I balance the competing interests was by staying true to the intentions. Transparency is defined as the condition of being transparent. “ In a free society, transparency is government's obligation to share information with citizens. It is at the heart of how citizens hold their public officials accountable.” That being established for me transparency is being able to share information in a clear, precise manner in which all stakeholders understand what is being shared with them. Putting into practice is by putting in writing and or in open meeting all the issues that can be shared according to the law. Constantly sharing information and implementing two-way communication where all stakeholders can communicate and respond directly to the issues affecting the school district. One of my main goals as a school board member has been to have interpretation and translation in all school board meetings, however, it has not happened yet. I believe that we have all board members demanding transparency it will happen. As an educator, I have had the pleasure and opportunity to work in school districts where I am the minority. Currently I work in a school where only 1% of the staff is teachers of color. Being the minority in every place that I interact has helped me understand the different concerns other demographic groups face on a daily basis. In my own classroom I currently serve students from many diverse races, religions, and socioeconomic status. Just in my classroom alone, my students know a total of 12 languages. That has given me the opportunity to learn from them and their families. I use what I learn in every aspect of my life to help, collaborate, and understand others in my community. Just last year I had the opportunity to advocate and lobby for inclusive LGBTQ curriculum in Springfield. I believe that it is our duty as human beings to learn, understand and empathize with all the concerns and needs of all members of our community not only of our own. I believe that all of these approaches are not only the best but are very much needed for all of our students. I consider myself an advocate for all of these approaches because I believe that until we eliminate the school to prison pipeline our students, especially our students of color will not be successful. As a member of the Illinois Education Association and the National Education Association I’ve had the opportunity to take professional development in all of these areas. In addition, I have been instrumental in advocating for school districts and association members to support them. I feel that implementing restorative justice practice programs in the district will strengthen student learning, prevent bullying and will reduce suspension and expulsion rates. Also, educators should become trauma-informed in order to help our most vulnerable students excel in social, emotional and academic learning. Professional development for all educators should be implemented in all schools, these services should be something school districts should invest. Creating a comprehensive plan to put in effect to educate and train all staff should be a priority. Since the passing of Senate Bill 100 I have been advocating for Restorative Practice Programs and I know that the principal at Freedom school has been focusing on implementing it. My goal would be for all schools to implement these program in addition to the trauma-informed or ACE’s, Adverse Childhood Experiences. I am heartbroken to learn of all the community members that are having difficulty in paying their mortgage due to the increase in taxes. It has been the most difficult time for many board members including myself. Balancing the community’s desire to decrease the property tax burden was the hardest decision we had to make, I am sure it was not an easy decision for any of us, however, I had to focus on the intent of the referendum and honor it. I know that the intention of many of the seating board members is to be fiscally responsible and I am happy to say that our school district is in better shape than it was four years ago when I was elected board member. We have to acknowledge that we are in better shape in part to the referendum and to the Evidence-Based Funding which has funded the district with an additional $1.8 Million. standardized testing does not focus on the student and the factors that may affect the student’s scores on a standardized test. That is why I believe that focusing on educating the whole child is essential in evaluating students growth. Not only focusing on the student, but also focusing on professional development that will support students needs. As a district, we need to identify the need to address achievement gaps and the needs of our diverse student population. We need to focus on changing the system and focus on integrating culturally responsive practices that will improve learning outcomes. I believe that once we align curriculum and implement opportunities for professional development in inclusive behaviors, culturally responsive teaching, and equity we will be on the path to minimize achievement gaps and improve student performance. I believe that social media is a venue to socialize, but not to communicate with our constituents. I also believe that elected officials should be respectful of all and not engage in negative communication at all, but especially not in social media venues. We need to remember that we are elected officials and we are not only representing ourselves, but we are also representing the School District. I believe that a 1:1 conversation is more engaging and more beneficial than communication through social media. As a school board member, I have been open to meet with constituents that have reached out to me personally or that have approached me when they see me in different events. I am comfortable to share my personal information for people to communicate with me and I plan to continue to do so. As an educator, I am a firm believer that school districts should implement policies that will address the needs of all students. In order to close the achievement gap and assess its policies, we need to identify the groups and the where are these gaps. Students that are experiencing achievement gaps are students of color, English Language Learners, students with disabilities, and students from low-income households. Closing the achievement gap will be a process that will take time, but implementing educational practices that will support all students especially the students that are most affected. It will also need a systemic change by implementing policy in the local, state or national level. All student advocates such as educators, parents, administration, and community need to collaborate in order to close the achievement gaps and expanding opportunity for all students must remain at the forefront of our efforts. The metrics that should be used to determine whether the District is succeeding should be the use of the formative assessment that correlates with an align curriculum and the improvement in the standardized testing such MAP (NWEA assessments) and PARCC, now IAR- Illinois Assessment of Readiness. students of color may be facing. As stated in the previous answered, in order to close the achievement gap we need to advocate for students that are experiencing achievement gaps are students of color, English Language Learners, students with disabilities, and students from low-income households. According to the Illinois School Report Card, our school district student demographics have an 84.3% Hispanic student population and 2.9% Black student population however the teacher demographics is 11.6% Hispanic teacher population and 0% Black teacher population. I believe that the first step to support and serve our students of color should be to invest in attracting and retaining teachers of color. It is also important to implement professional development that will support these groups of students, such as culturally responsive classroom management, culturally responsive instruction and implicit bias training. My Bachelor’s degree was received through a grant with the state of Illinois. The grant was specifically to educate bilingual individuals that were already working in a school setting. The purpose was to help the individuals get a teaching degree in bilingual education with an emphasis in Multicultural education so that we work in low-income districts with a diverse population of students or in a bilingual classroom for at least two years after graduating. With that being said, I can say now that focusing on the cultural diversity in our school district is important. It is also important to include professional development that supports all students. In the last 20 years, our school district has seen a change in student population and I believe that school districts should change according to the student's needs. Providing professional developments that support cultural competence and implicit bias is important in order to understand the factors that may affect our students. 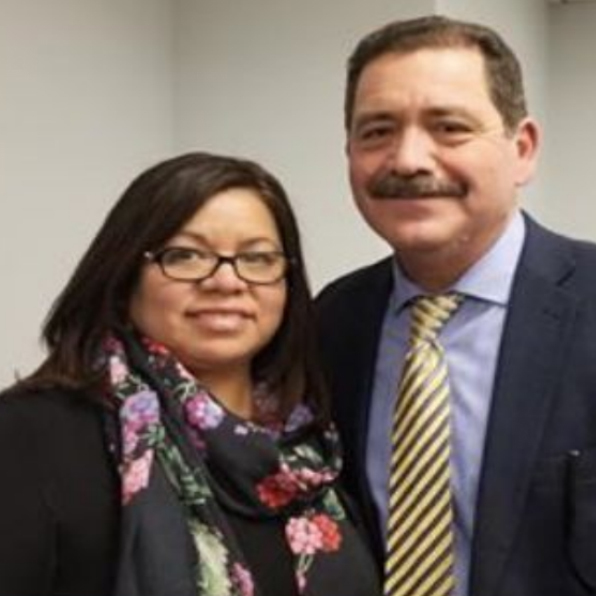 Personally being an active member of the Illinois Education Association and National Education Association has given me the tools to understand that all stakeholders should be part of this process and I have continuously advocated for this process. something about education issues and I do not where to start I go collaborate with my teacher colleges from work, the Illinois Education Association or the National Education Association. Using my teacher fellows helps me have a broader information pool because I can pick up the phone and ask a teacher from California, Florida, or any other state in the country. When I just want to do the research myself I rely on the information the www.NEA.org provides to guide me. My vision for early childhood education in Berwyn is for every child in our city to have access to it. All children should have the ability to socialize in a safe and formative environment. Early childhood education can encourage a holistic approach to the formation of a child’s emotional, social, physical and mental development that will prepare him/her to be successful and be a lifelong learner. Education is a human and civil right that is not only a state , but under the constitution of the United states. “ The 14th Amendment requires that when a state establishes a public school system, no child living in that state may be denied equal access to schooling.” I believe that because it is the law we should not even be asking this question. All children regardless of their immigration status should be provided with a free education. After the 2016 presidential election, many of our undocumented families contacted me because they were afraid to send their children to school either because the child may have been undocumented or the parents were afraid that when they dropped off or picked up their child immigration may arrest them in the school premises. For that reason I advocated for the school board members to create a policy to protect our undocumented families, unfortunately, we never adopted a policy. In March of 2017, we passed a Safe School Resolutions that protects our undocumented families, students and staff in reaffirming that D100 is a welcoming district for all students and families.